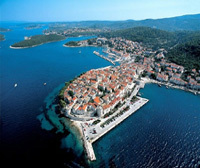 Democracies are no strangers to national disunity even the oldest and most developed ones and Croatia is no different as in it the moral philosophies of individualism and solidarity with the multitudes of political parties and movements clash, battling for the soul of Croatia. Conservatives or the right wing stand behind the philosophy of democratic freedom and national values instilled through centuries of independence battles that finally created the modern Croatia of today, while liberals or the left side are still tied to the former communist mentality that viciously hangs on to corrupt protectionism of all who subscribe to that mentality which includes denial and non-acceptance of communist crimes. An intense conflict is disuniting the people, and Croatian people all suffering regardless of the fact that many have switched themselves off the political grid and choose not to even vote at elections. As moral positions, both individualism and solidarity obviously have commendable aspects. Individualism represents self-reliance and independence, while solidarity or community represents social unity, common cause, and an expansive understanding of self-interest. All these aspects are important to people’s well-being. It’s true that solidarity, a cumulative hub of individuals standing for common moral values, can represent genuine political or economic power. However, speaking psychologically, solidarity is not an intrinsic, a natural psychological power in people – it needs to be developed through self-development spurred on and nurtured by the “right” political tilts. Determined opponents can crush solidarity that’s not grounded in people’s self-development. When that happens, people who relied on solidarity for their sense of standing and well-being can be left feeling empty and defeated. 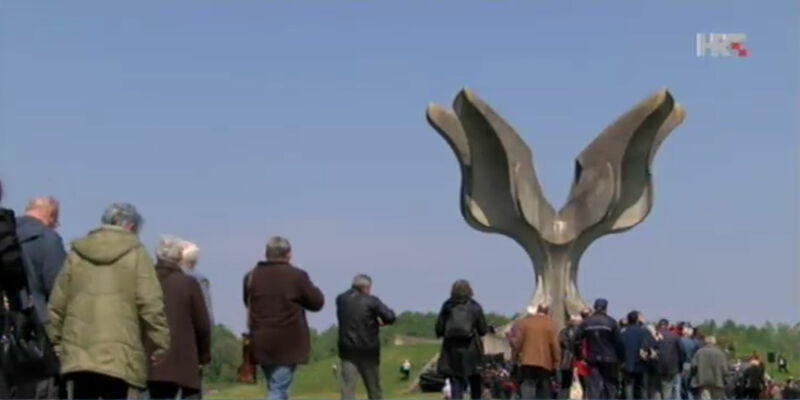 An example in Croatia of Serb, of so-called antifascist organisations as well as of some Jewish organisations that evidently and consciously keep national disunity spinning, fanning its destructive flames, could be seen, for the nth time in the past two decades, at the WWII Jasenovac camp site on Saturday 22 April 2017. That is, commemorating the 72 anniversary of the 1945 break out from Jasenovac camp of 1,073 prisoners is officially to occur under the Croatian government auspices on Sunday 23 April but the communistically propelled Croatian association of antifascist fighters organised a separate commemoration at Jasenovac on Saturday and the Serb national council in Croatia as well as Social democratic party joined them. Thus boycotting the State official commemoration to be held on Sunday. Some Jewish organisations in Croatia will also hold a separate commemoration at Jasenovac on Monday 24 April! Much of this boils down to persistent, mindless denial of justice to victims of communist crimes. It is an absolute human disgrace that on Saturday at Jasenovac communist mouths were filled with hypocritical words that “no crime should ever be forgotten and that such crimes must never be repeated…” These are the same people who keep denying communist crimes, which, by the way, were more horrific and more numerous than those committed at Jasenovac (and elsewhere) during the WWII Independent State of Croatia reign. The problem with Mr Milanovic’s comment is that the communists who wrongfully call themselves antifascists are the ones who are unable to come to terms with the past, not the ones who were evidently on his mind; those that mourn at Jasenovac have among them many that deny and cover up and justify the horrors of communist crimes. Crimes committed at Jasenovac have been dealt with for decades, individuals charged with crimes have been prosecuted and convicted a long time ago, Jasenovac and other WWII camps have been dealt with as part of history that paints WWII days in Croatia in dark colours. Justice for victims of Jasenovac has been perpetuated over and over again – no justice for victims of communist crimes, though. This is the 21st Century and the principle of justice should assure a just treatment of victims of every totalitarian regime. “Alongside the prosecution and punishment of criminals, the denial of every international crime should be treated according to the same standards to prevent favourable conditions for the rehabilitation and rebirth of totalitarian ideologies,” said a 2010 joint letter to the European Commission from six former communist countries of Eastern Europe. Denial of communist crimes in Croatia maintains and deepens the widespread fear of an emergence of yet another communist Yugoslavia and in that prevents the development of mainstream solidarity with the independence and democracy Croats fought for in the 1990’s. The political and, therefore, economic prosperity of the country are at an impasse and this must change – the scales must turn towards that for which Croatia fought: away from communist mindset and practices in public administration. Otherwise the desired prosperity and freedom that are on all lips shall remain just a hope. And the truth in the old proverb “he who lives by hope dies in despair” comes to mind. Decisive actions are needed to rid Croatia of communist crimes denials. But it seems that court decisions and rulings have little if any significance as to how a society should be guided in its existence in Croatia. That, for sure, is a tragic reality of democracy that is not a democracy. To return to the commemoration at Jasenovac on Saturday and its implications for a continuance of denial of communist crimes and for the denial of justice for all victims, no matter whose, I was actually impressed by the human stamina demonstrated in Jasenovac by several Croatian Homeland War veterans (Croatian Defence Forces HOS) who stood guard in front of the memorial plaque for the 11 Croatian defenders killed in Jasenovac in 1991 during the brutal Serb-led aggression against Croatia, holding the flag with “Za Dom Spremni” (For Home Ready) salute on it. EXCUSES. EXCUSES? PRAY FOR WISDOM FORTHESE JUDGES AND PEOPLE! Marko Sladoljev, deputy Prime Minister : “I did not participate in the Homeland War. I do not have the stomach to tell those boys who did, what to put on their remembrance. 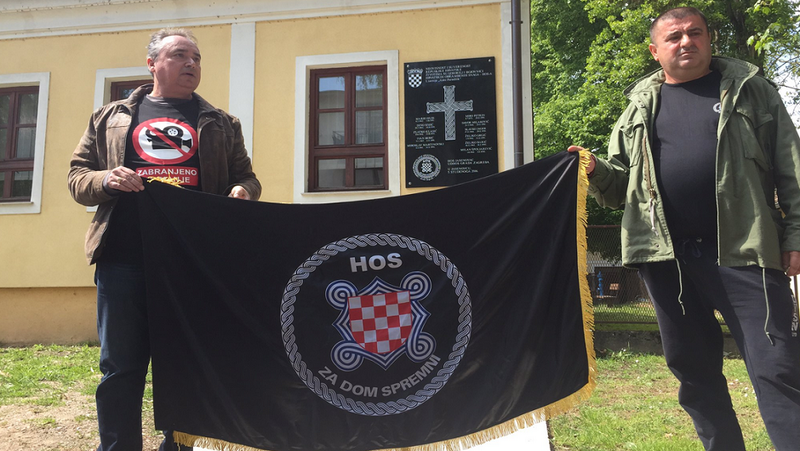 They too fought against fascism.” on speaking to the HOS memorial for fallen Croatian defenders at Jasenovac on which is depicted the slogan of HOS “Za Dom Spremni”. Congratulations Mr. Sladoljev for uttering such honest and true words- a rarity coming from a Croatian politician. Indeed, HOS defenders died at the hands of “Jugoslavs” of all nationalities (including Croatian), as well as Serbian Chetniks – these ARE the true fascists. Those who were the enemies of Croatian independence and right to self-determination in the Homeland War 1990-95 it must be said were and still are those who fought against Croatian independence and the right to self-determination during WWII (1941-45). The parallels are undeniable and I am afraid that unless we learn to recognize that it is in our national best interests to sever ourselves from those that promote yet another form of the Jugoslav fairytale,- be that the scenario of a “Junified” language, or the politics of “regionalism” etc. then we will be doomed to repeat our same mistakes but with more severe and lasting consequences. Stipo Pilic who, among others have studied Jasenovac both pre 1945 and post WWII, therefore while it was under the auspices of the Ustase as well as the Partisans. 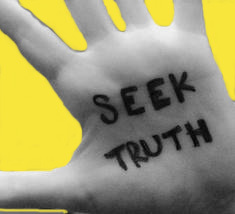 I encourage readers, who value the pursuit of truth, to visit their site and read for themselves what their efforts have uncovered. Also, since this organization is made up of selfless volunteers, any support, financial or otherwise, would be greatly appreciated. Za Dom Spremni, Velebit! Well said! i so like the sculpture in the photo. I’m surprised that Croatian liberals are so much part of the left. In most places they tend to centrist. Ina remark: “… the scales must turn towards that for which Croatia fought: away from communist mindset and practices in public administration.” I SEE: and have spoken repetitively, in practical term this means every word of current continuing Croatian legislation that is the original communist Yugoslavia legislation text should be examined in comparison to [same subject] legislation text of countries that never suffered communism and adopt such egalitarianism legislation text to leap Croatian economy into achievable marketplace excellence. Even greater result than a 10 times more robust Croatian economy, no more so highly visible act of rejecting communism collectivism could be accomplished by an equalitarianism Croatian Sabor mandate can be visualized, defined, documented and delivered to the Croatian people! Freedom from literal and mental subjugation. So to the point, Connor – Croatian legislation needs major overhaul and move away from the inherited communist Yugoslavia ones. So much would be better and so much more achieved. International Red Cross representative Julius Schmidlin visited Jasenovac in 1944 with the approval of the NDH and sent a report back to Geneva. His remarks on the running of the camp and the treatment of the internees appear to be quite positive. His chief complaint seems to be that the women internees lacked for hygienic cotton balls. I find the contents of the report very difficult to rectify with the ‘official story’ that Jasenovac was operated as a “death camp” or “extermination camp”, and suspect that the real truth may still be buried under decades of communist lies which have been promulgated and entrenched by certain special interest groups — with the aid of Croatian politicians who capitulated to these interests due to expediency and international political pressure. The Jasenovac history is something I intend to do more research on, because I currently don’t have a good idea of exactly how the common estimates of 300000-700000 NDH victims at Jasenovac were arrived at, whether the methodology was sound, and to what extent physical evidence corroborates these numbers. I would thus oppose any law that cements one view of history in place and criminalizes revisionism, precisely because I have a strong suspicion that we may not have been told the truth about the alleged extent of NDH-era war crimes. Instead of using the power of the state to silence, I feel we should have an environment conducive to critical examination of the facts on either side of the debate. Just my two cents. Proper investigative research of Jasenovac is a must, traganje za istinom, for truth and humanity. We have been fed communist lies about it and those lies hide thousands of Croats murdered there by communist Yugoslavia during the years after WWII. Justice is slow but it will come – I personally debit the future to that. So much with the concept driven home by the Nuremberg trials–that every individual is responsible for his own actions and can’t have recourse to the excuse of “just following orders.” In the amazing world we live in, people are so quick to condemn fascist crimes (as they should) but want to offer excuses for the crimes committed by communists. I even came across an article which claimed that fascists are more evil than communists because fascists knew they were doing wrong, but committed crimes anyway; on the other hand, communists were less evil because they at least had good intentions, and one can’t judge them for murdering over 100 million people in the past century. The amount of cognitive dissonance one sees on the Left side of the political spectrum never ceases to amaze me.